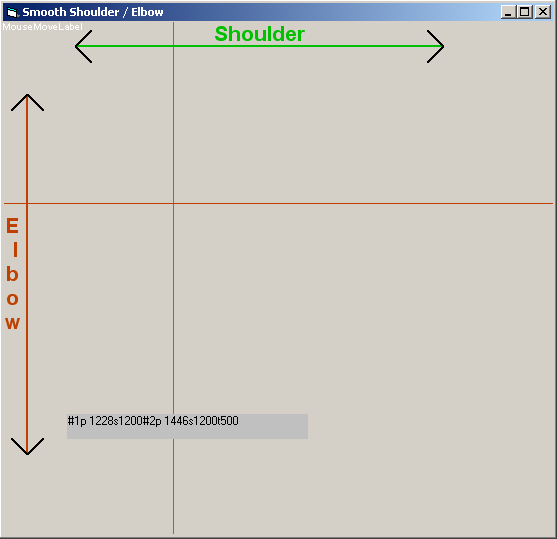 A program which I've made / am making in Visual Basic (6). 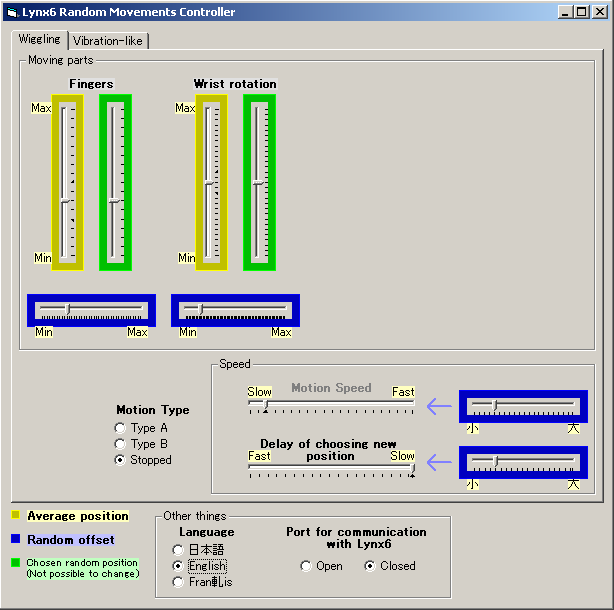 Lets you control the Lynx6 robotic arm in many ways. Also included is full source code and a help file (which isn't complete). Extract the .7z archive using 7-Zip. 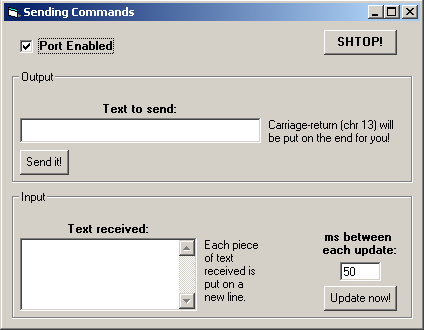 Extract the OCX files to the same folder as where you extracted the program to. 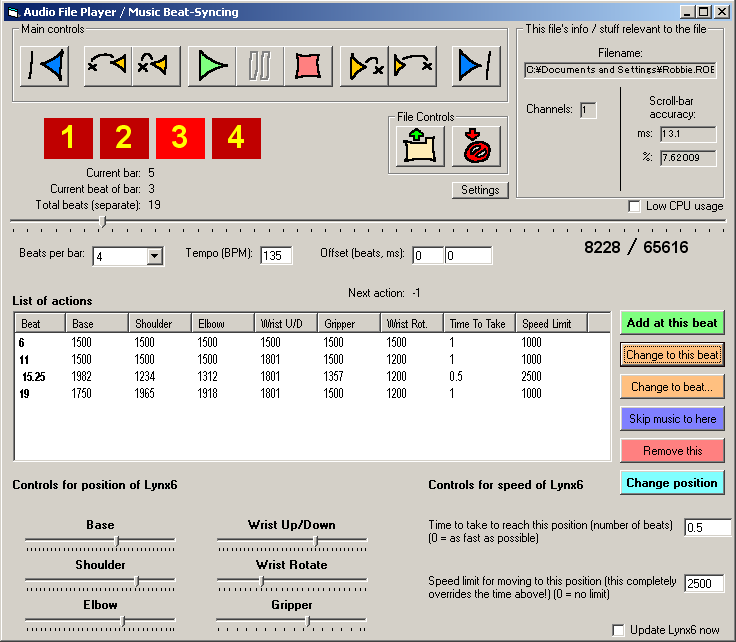 Then when you run the program it should be OK.
As I said, the full source code is available. 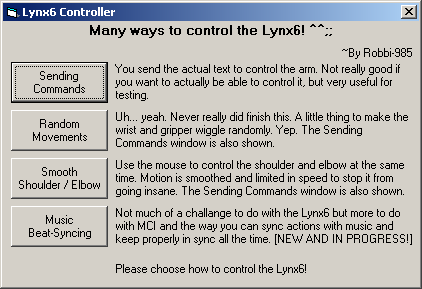 It should help you understand controlling the Lynx6 in many ways, and also MCI (for playing the music). The entire thing is commented so much that if you took the comments out, there would probably only be 2 or 3 lines of code left. In fact, it turns into more of a novel than a program at points... it was not exactly intended to be released as it is now.